This version contains a couple of fixes for the installer and the detection of the correct VC Redist Version which has caused some user to not be able to install the program. Also, I bumped the requirement to VC Redist 2017, it should resolve some other issues linked to not be able to change the audio device in Windows 10. This version should correct the manual update process for people using Windows Classic Theme. 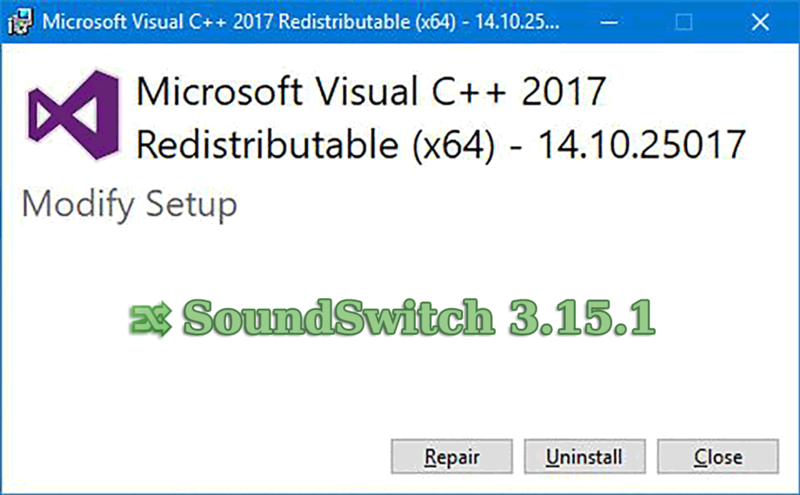 Lastly, the installer will generate a log file upon completion or cancellation, this is normal, if you have any issue when installing SoundSwitch, please attach that file to your issue. I also took the time to update the code of the VC Redist detection for InnoSetup in my blog post.